Last weekend’s CLE240 saw mediocre propagation for North America and European listeners alike. It seems that our monthly CLE schedule continues to be synced with the Sun’s monthly rotational period that has been regularly lining us up with the same massive coronal hole, elevating earth-directed solar wind speeds now for several months. Several CLE participants in the USA commented on the lack of any propagation into BC, further fueling my long-held belief that BC seems particularly sensitive to any geomagnetic activity in the auroral zone to our north. The auroral activity always seems to dip further to the south here for some anomalous reason, as listeners just a few hundred miles to the south or southeast see far less absorption than is observed here. With a few exceptions, the main effect of these conditions is to largely kill the normal east-west propagation path and just allow single-hop signals from the south or the SE/NW to dominate. Typically, the path to the Pacific is not affected and can often be enhanced. As a side observation, this past weekend was also the CQWW 160m DX contest and, as one left-coaster commented, conditions were the “worst seen in 10 years”. 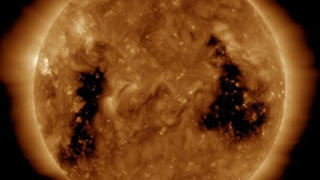 One would expect to see much better conditions and a much quieter Sun at this point in the solar cycle! A summary of results for all participants can be found here, at the ndblist info site. The 2019 Winter "Classic Exchange"